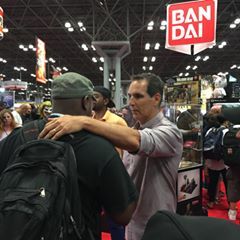 Today, I had the chance to visit Comic Con in New York City on the first day of the convention. I was invited to come and check out the pop culture phenomenon and I was thrilled to have the chance to do so! Once I arrived in New York, I knew I was in for quite the spectacular day. Speckled throughout New York City streets were people dressed as favorite characters from comics, movies, and TV shows. There is nothing quite like walking down the street to look up and see The Joker walking in front of you or seeing every character from Adventure Time walking hand in hand. Everywhere you looked, you could see a trail flocking to the mecca that is known as Comic Con. Stepping through the doors, it was quite the sight to behold! Mega fans were everywhere. Creative costumes (Cosplay) were everywhere. And everything you could ever want was displayed throughout the show floor. You could spend days here appreciating everyone’s costumes and exploring the floor. Now if you think Comic Con is not for you, you would be wrong. There is something for everyone here. Our family favorites are Batman, Spider-Man, Iron Man, Harry Potter and The Nightmare Before Christmas. Within minutes, I had encountered them all! I loved going from vendor to vendor and finding old treasures and adding awesome finds to our collection. There was Lego, publishing companies, independent artists, My Little Pony. Marvel, comics of every kind, and so much more. I need to go back tomorrow after digesting everything from today, as I am sure I missed so much! As if that weren’t enough, Comic Con has a full (very full) schedule of panels to visit. These are presentations, sneak peeks, q&a with actors, artists, and authors, and screenings. I was able to catch quite a few and they were a ton of fun. So informative and fun to participate in. There is an entire program of panels to choose from, so you can always find one to join. This afternoon Disney offered a sneak peek of Tomorrowland and Big Hero 6. Everyone was surprised to find George Clooney was there for this panel! This was super popular and not to be missed. Curious as to what Tomorrowland is all about? Check out this brand new trailer, released today! I was able to also visit R.L. Stine, popular for his Goosebumps series, and learn of the background and inspiration for his stories that children have enjoyed for over 26 years. This was very enjoyable. Now, I am not going to pretend that I am familiar with half of the shows or comics that are being talked about in the panels. I actually stepped into one for Bob’s Burgers, even though I had never seen the show, I was thoroughly entertained by the voice talents of the animated series, including Kristin Schaal, who has been in some of my very favorite TV shows. It was very entertaining to listen to the questions from the audience members and the hilarious responses of the characters. I had so much fun, in fact, that now I plan on watching the show. You wouldn’t be able to catch all the panels, so it’s important to plan your ComicCon time carefully to maximize your visit. I’m really looking forward to The Walking Dead panel on Saturday afternoon! 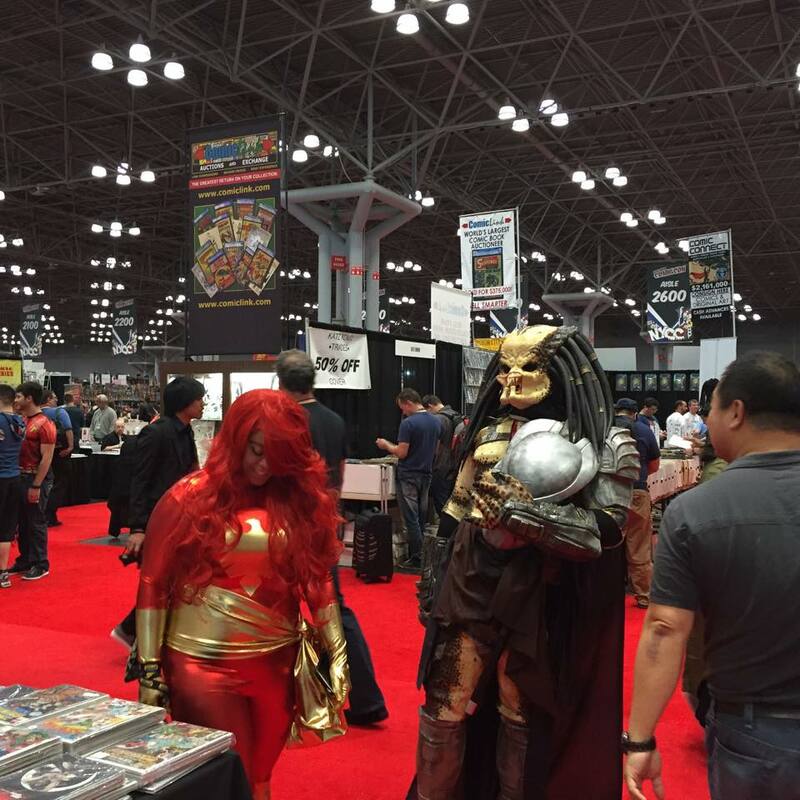 I still have so much more to explore, so for now, I will leave you with some photos of some of the sights I saw while roaming the showroom at New York Comic Con 2014. I will be back to share more with you later! Until then, feel free to follow all the latest on Twitter and check their website, too! *tickets were provided to facilitate a review, all opinions are my own. How fun! We go to the one in Providence, RI and Boston every year. We love that kind of stuff. When researching Halloween costumes, I always look for pictures from Comic Cons. 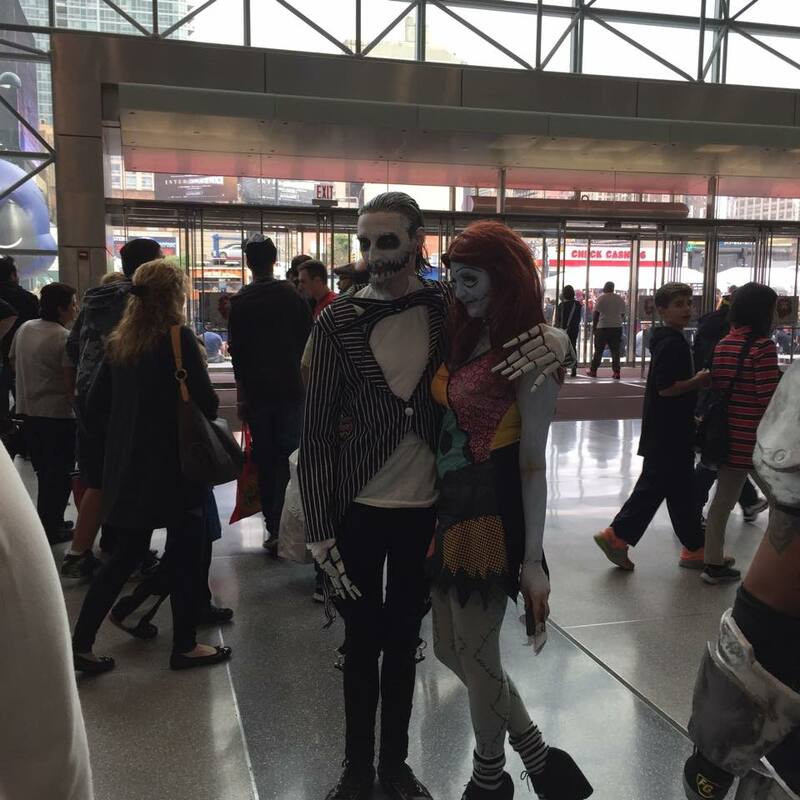 People have the BEST costumes here! Loved this post! Wow, that looks like awesome fun. Wow, that probably was exciting! 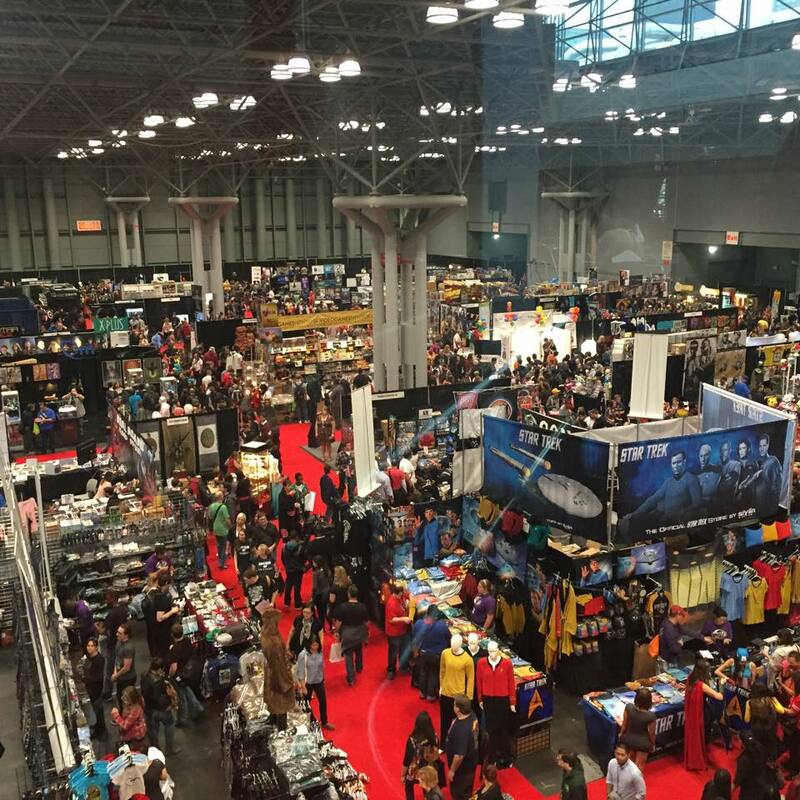 It would really be fun to be in the NY Comic Con from the different memorabilia you get and the people you meet. It’s also nice to see sneak peaks of future projects. This looks like so much fun! My son would love it! I wanted to go so bad, but unfortunately does tickets sell like hot cakes. I will try my best for next year. Oh my, I have never been to one. I bet they’re tons of fun. Thanks for sharing. I want to go to comicon so bad, I would be dressed up in a heartbeat. GO cosplayers, go! This is so cool! I have always wanted to go to comicon, mostly just so that I can dress up in some really awesome costume. I’m not sure who I would be yet… I’m glad that you had a great experience, though! I was thinking of taking my adult son to this. It looks like he will enjoy himself. I’m thinking of surprising him and take him tomorrow afternoon. They are sold out from what I understand, so maybe it’s best to plan ahead for next year! I didn’t know they had a NYC version! I have friends that go to the SD one every year and it is a blast! Looks fun! My nephew would love this… me, not so much 😉 Quite an event! Wow, that looks like a fun day. Would love to go to something like that. I have always wanted to go to one!! I am waiting until my son is a little older and we are there. Great photos too! My hubby is a comic nut but never wants to go, it looks like a lot of fun! I wish I could have gone! That looks like a blast! I don’t think I’d ever go, but liked looking at the pictures! I have always wanted to go to a Comic Con. It sounds like tons of fun and I love all the costumes! That sounds so amazing! I’ve always wanted to go to a Comic Con. I hope to get the chance one day! I want to go to a Comic Con so badly. I would go to the Doctor Who booth first. It would be so fun to see everyone dressed up. Wow you are so lucky! I’d have to go to the Once Upon a Time and Supernatural booths first! I’ve never been to Comic Con, but it looks like so much fun! I would probably just sit there checking out all the costumes everyone wears. So many people love these! We haven’t been to one but I bet they really are amazing. Our comicon pales in comparison. One day I’d like to visit the San Diego ComicCon. I would really love to attend this one sometime soon!! I love how they all wear their costumes! So grand!!! !